Auckland Zinefest is a non-profit community event that celebrates and promotes DIY and self publishing in Auckland city. Previously it was held at Cross Street Studios in 2009. Before this, there was a zinefest about 4 years prior that was put on under the name "Small Print". 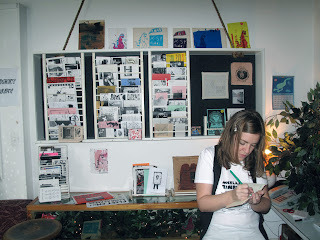 In 2010 Zinefest was held at St Kevins Arcade and Wine Cellar in Newton, Auckland. The after party took place at Wine Cellar and Whammy bar. Zinefest is run by volunteers who have a passion for community arts projects and zines.